“We are sailing under a Western flag, though an Eastern wind is blowing in the world economy,” Viktor Orbán declared in 2010. This statement then gave life to the Hungarian Eastern-economic opening strategy. The foreign policy has been under attack from the political spectrum and the media. However, viewed from today’s perspective, it was much ado about nothing. Data that has recently come to light illustrates that trade between major Asian Economic powers (such as China and Hungary) is in stagnation and decline. There are few beneficiaries of the new foreign policy approach, Vietnam being one of them. Since 2011, Hungarian export to Vietnam increased by 72 percent, but in the meanwhile, Vietnamese export to Hungary has multiplied almost five-fold in the same period. The Hungarian trade deficit with Vietnam has increased from 17 million to 236 million dollars. The trend is typical of other developing small and medium-sized South-East and Middle-Asian economies. However, Hungarian exports to countries such as China and India decreased in the previous year. As things currently stand, the policymakers seem to have created an outcome far different from what they intended. Due to Hungary’s reindustrialization, increasing imports from Asia are unavoidable. Assembly plants which typically choose to invest in Hungary rely on Asian manufacturers for spare parts. Therefore, the economic circulation is the following: foreign-owned companies build factories in Hungary, create products using Asian parts and then export the products to the Western part of the European Union. 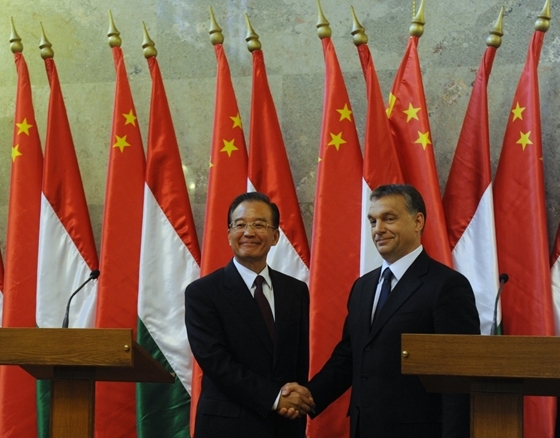 Initially, Orbán’s government wanted to help introduce small and medium-sized Hungarian businesses into the Asian market. Many experts say the Eastern Opening was unrealistic in the first place. SME’s are traditionally too weak to conquer foreign markets and there are only a few exceptions, such as Japan and Germany. Also, Hungary doesn’t manufacture products on such a big scale or at a quality that would allow the country to compete in Asia. However, the Hungarian numbers are not bad compared to those of the Central-European Region; other countries have worse figures. Therefore, the foreign policy failures cannot be blamed if the program had impractical and unachievable goals to begin with.